File Bankruptcy on Credit Cards and Get a Fresh Start. If you have high credit card debt and are unable to make minimum payments on your credit cards, your credit score will be damaged, and you will get many calls form your creditor asking for payment. Bellow are options available for you. 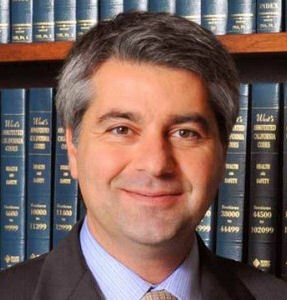 I am a bankruptcy attorney in Los Angeles and I help individuals deal with bankruptcy credit card debt. After reading the bellow, if you have questions, do not hesitate to contact me. If you do not believe there is a way to pay back within one year, filing bankruptcy on credit cards is a legal and most expedient way to resolve your financial predicament. 4) Try debt settlement. If you are behind about 6 months, your credit card debt is sold to a collection agency. They typically will offer 30% – 40% of the amount you owe to settle. However, often these collection agencies tag high interest and penalties and within a span of 6 months your original balance can rise substantially more that it was. Sometimes you end up with more debt than what the credit limit was on the original card. When negotiating with collection agencies, stick to what you think the balance that you owe and start offering them a percentage from there. Make sure you do not give any personal information to them like who you work for or your checking account number and bank information. You can let them know the alternative is filing bankruptcy on credit card debt. 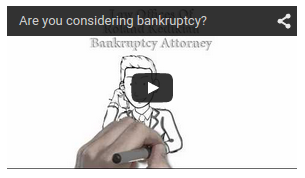 5) Finally there are bankruptcy options available to you. In certain circumstances bankruptcy on credit card debts is the best option for you and your creditor. If you do not believe there is a way to pay back within one year, filing bankruptcy on credit card debt is a legal and most expedient way to resolve your financial predicament. This also will get the creditor to realize that they will not recover and move on without spending any more time, money and effort on this debt. Call us at 818 409 8911 and learn more about bankruptcy credit card debt.